This is a page to remember friends who are no longer with us. 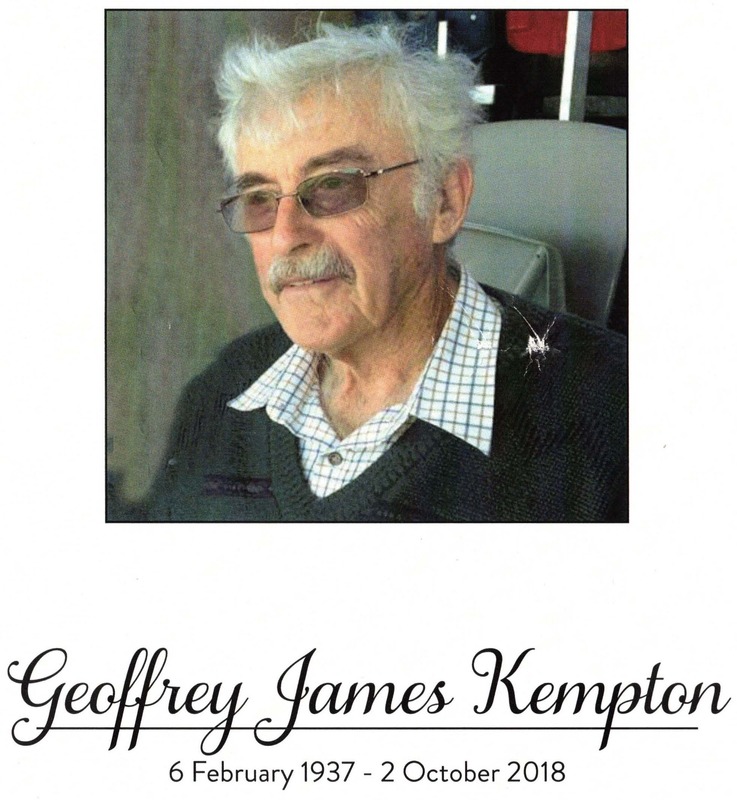 Recently we said goodbye to a long-standing member of the club, Geoff Kempton. Geoff served as BDAG president for several years. Geoff, along with his late wife Margaret Kempton, were also long time contributors to our flyball team with their dogs Darcy, Molly & Meg. We remember with amusement the many “barnies” between Geoff & Helen, or Geoff & Wendy Wheels in relation to how the team should race or where we went wrong when we didn’t win. Geoff always wanted to win but never at the expense of the well-being of his beloved dogs. Geoff will be remembered for his dedication to everything to which he laid his hand. He took his duties very seriously both in & out of the flyball ring. He was fastidious about the flyball box being cleaned down after each race & making sure all duties were taken care of before he sat down to relax. He ran committee meetings with care & attention to detail. He cooked a mean barbie for the end of year celebrations at training. Geoff’s organisational skills were something in which he took pride. Except for the time he & Margaret slept in & we were all late getting to the Mornington Peninsula for a competition, complete with dog trailer in tow. Of course, regardless of the drama of the morning, the cupcakes were still packed & ready for Geoff’s insatiable cupcake appetite. He always offered them around but we knew deep down he didn’t want to share. Unless of course he could find someone with something even yummier & he could arrange a trade. Geoff was always good for a laugh & a joke, while Margaret would roll her eyes or declare “Shut up Geoffrey!”, meanwhile secretly finding the entire thing hilarious as well. Margaret & Geoff always enjoyed visitors & if you saw the car as you drove past, you could stop in any time for a cuppa & a chat, & let the dogs play together. Geoff was a real, old fashioned gentleman who spoke to everyone with respect.